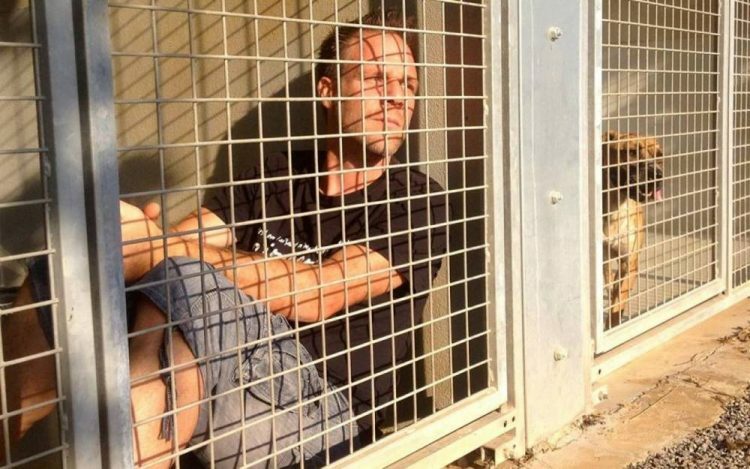 World-famous prankster and comedian Remi Gaillard has announced that he will be locking himself away in a dog kennel at a French dog shelter and live there until all his 300 canine neighbors get adopted, or he manages to raise €50,000 ($55,700) in donations. Gaillard is notorious for his hilarious and sometimes outrageous pranks, but for once he’s serious about raising awareness about a very sensitive problem – the plight of abandoned dogs. He recently announced that on November 11, he will be locking himself in a dog kennel at the SPA dog shelter in Montpelier, where he will remain until all 300 canine residents get adopted, or until €50,000 is raised to help make their lives better. While locked in the small cage, the prankster will “enjoy” the same amenities as the dogs living there do. Gaillard plans to livestream the entire event live on Facebook, so if you’re curious to see what it’s like for a human to live in a dog kennel, keep an eye on his Facebook page.